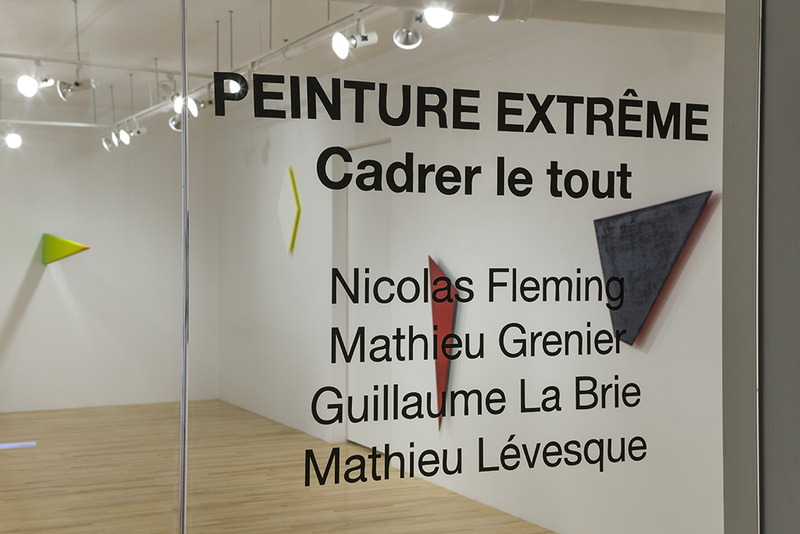 Galerie Trois Points is very pleased to present Peinture extrême – Cadrer le tout, which takes place in the gallery from July 4 to August 17 as part of the Extreme Painting programming. 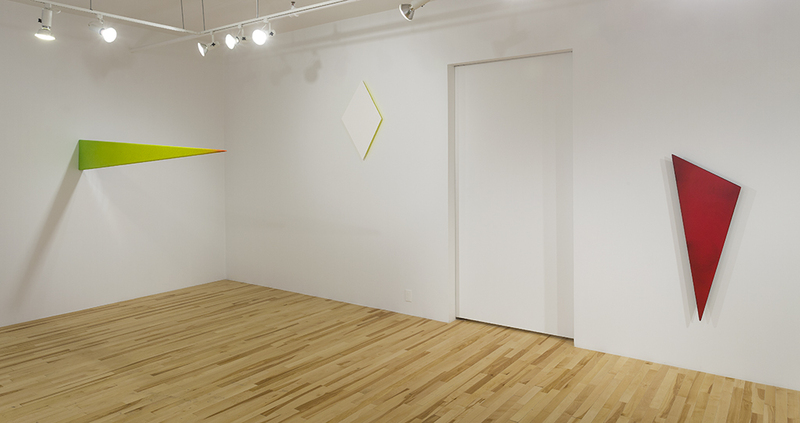 The group exhibition curated by Maude P. Hénaire brings together the work of artists Nicolas Fleming, Mathieu Grenier, Guillaume La Brie and Mathieu Lévesque. 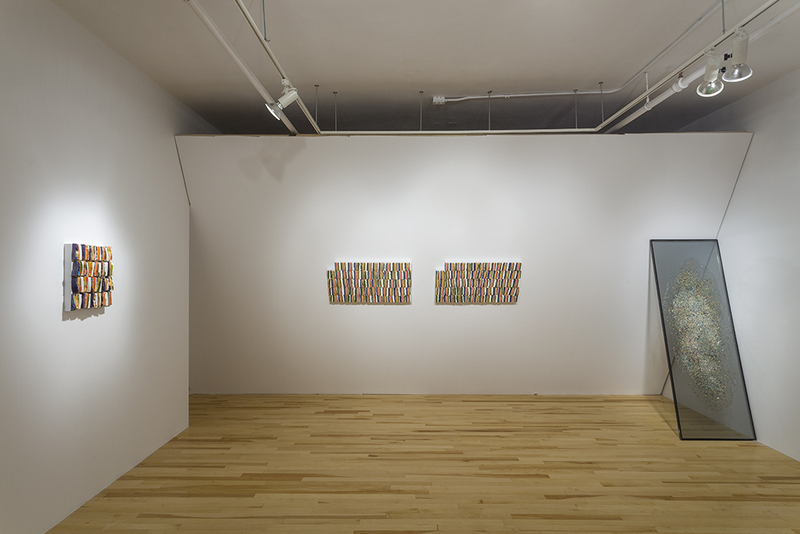 The young curator’s interest for painting stems from a desire to orient the viewer’s gaze towards the wall as a fundamental element in the history of painting. 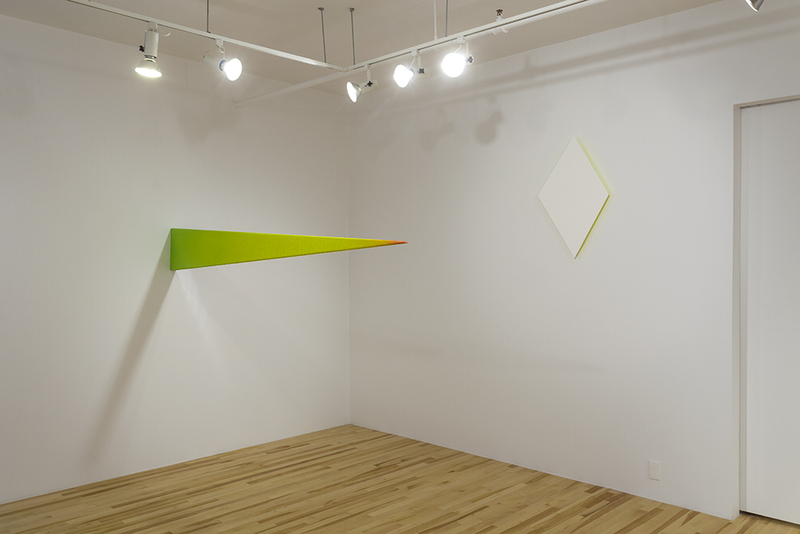 Most often, the sterile appearance of the white cube leads us to forget what it is composed of. 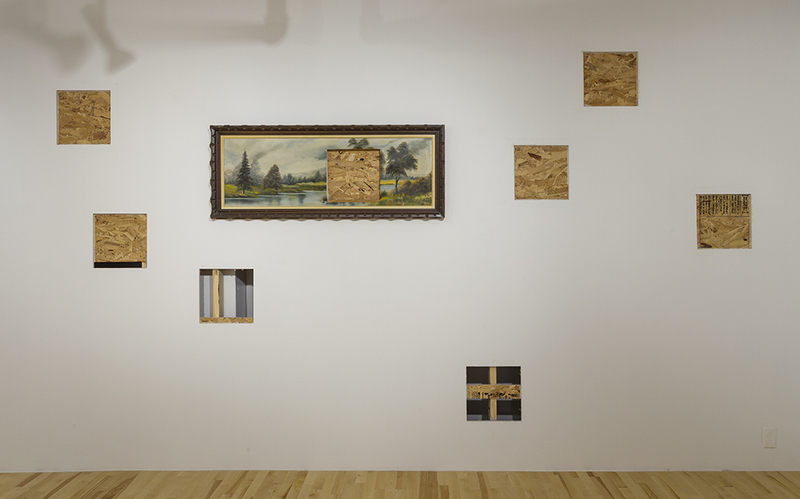 Instead, Peinture extrême – Cadrer le tout puts the wall forward, as an essential component of the exhibition. 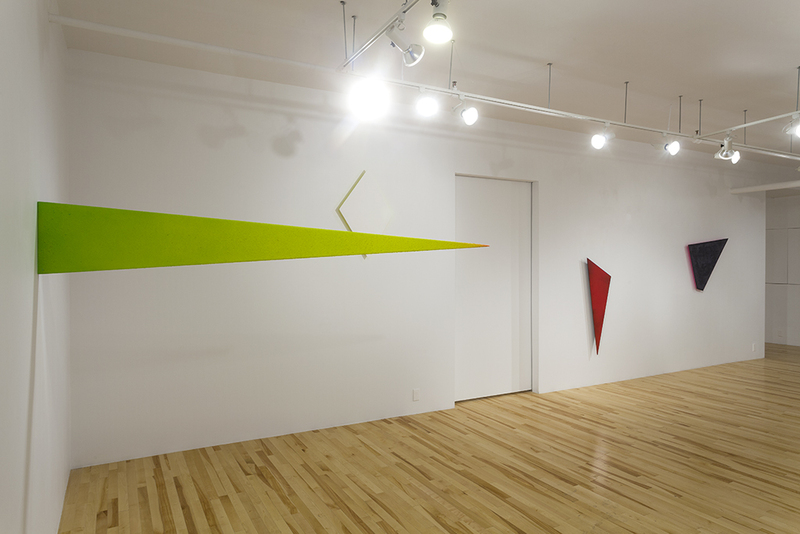 In each of the four artists practice, the wall becomes a field of possibilities for expanding the pictorial, all while referencing minimalism and the Plasticiens. 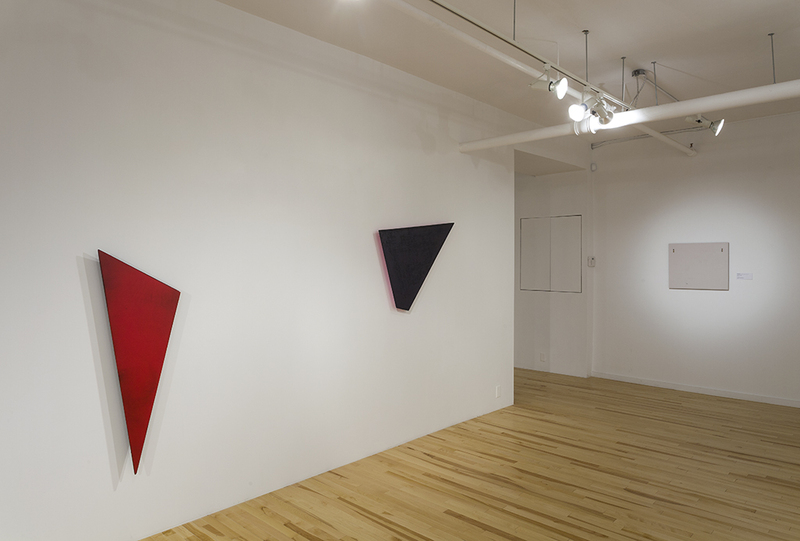 Mathieu Lévesque’s polygonal pieces engage the viewer in reflecting on the history of monochrome painting as well as the art’s own physicality in the exhibition space. 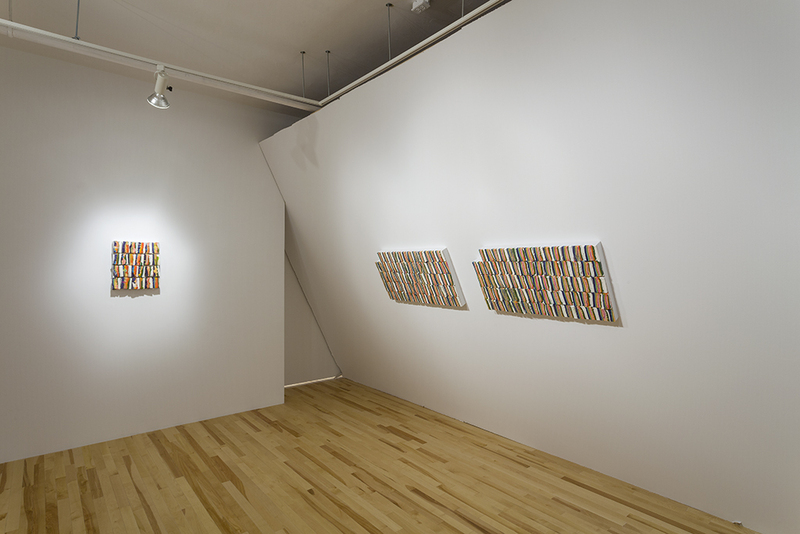 Lévesque addresses the relation between painting and architecture, the white wall becoming an extension of his work as it reverbs the vivid colours of the painted edges. 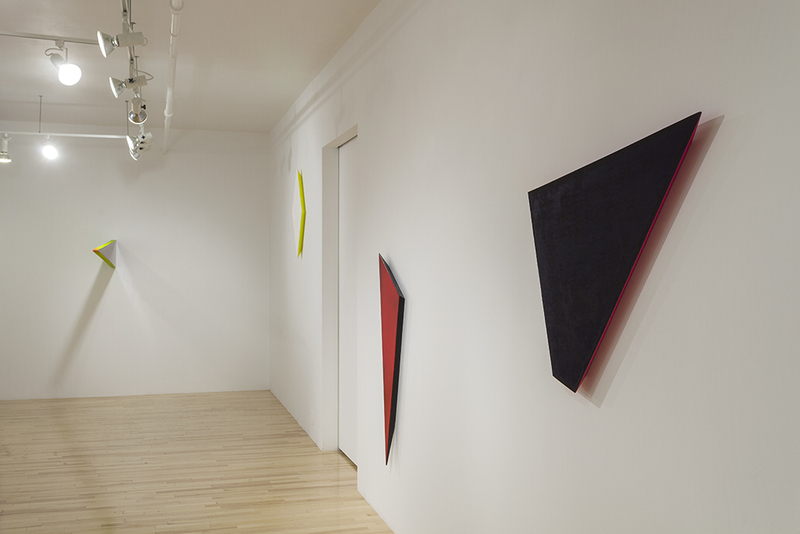 His paintings take shape in both the material and the immaterial, blurring the boundaries between painting, sculptural and architectural spaces. 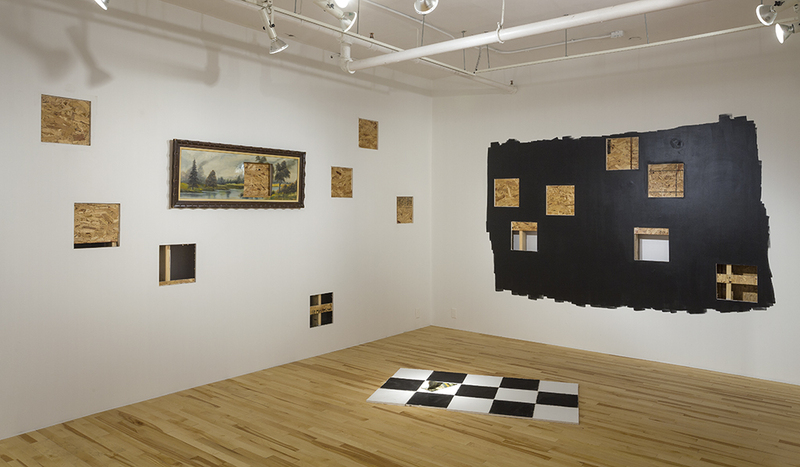 Mathieu Grenier’s wall samples series act as reminiscences. 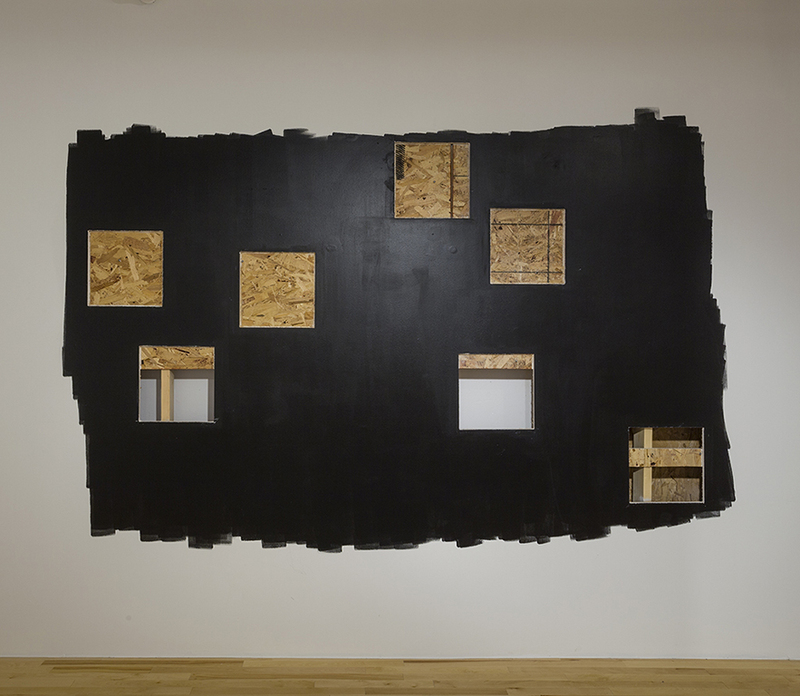 Grenier shows several monochromatic fragments taken directly from the walls of Musée d’art de Joliette’s permanent collection exhibition, just before the institution underwent major renovations. 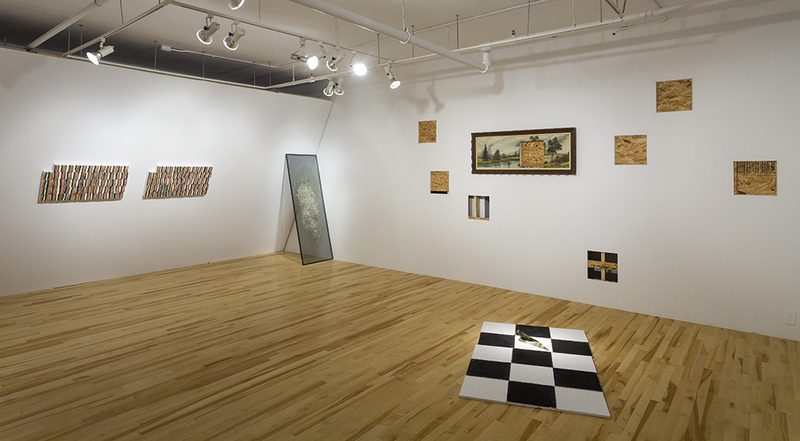 This body of works puts forward the sanitized whiteness of exhibition spaces as much as it involves a mnemonic effort of our art history recollection. 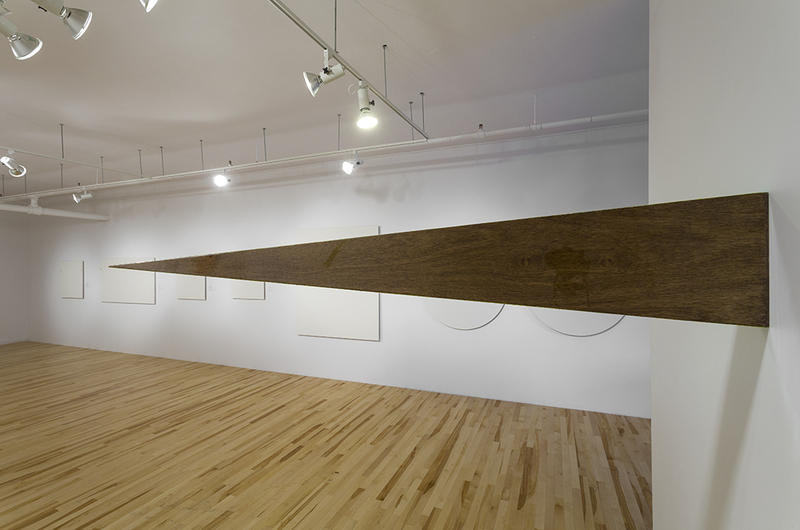 Guillaume La Brie violates the purity of the white cube by intervening directly in the gallery space to disturb its functions. 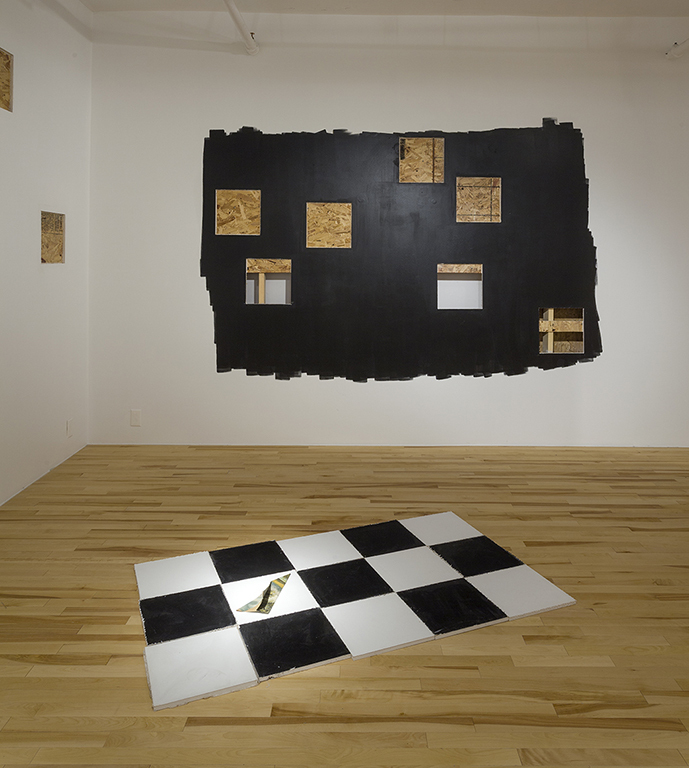 The materials he uses are taken from the gallery walls and incorporated into his installation, which playfully includes fragments of a painting – thus challenging the preciousness of art as well as the nobility of painting as a medium. 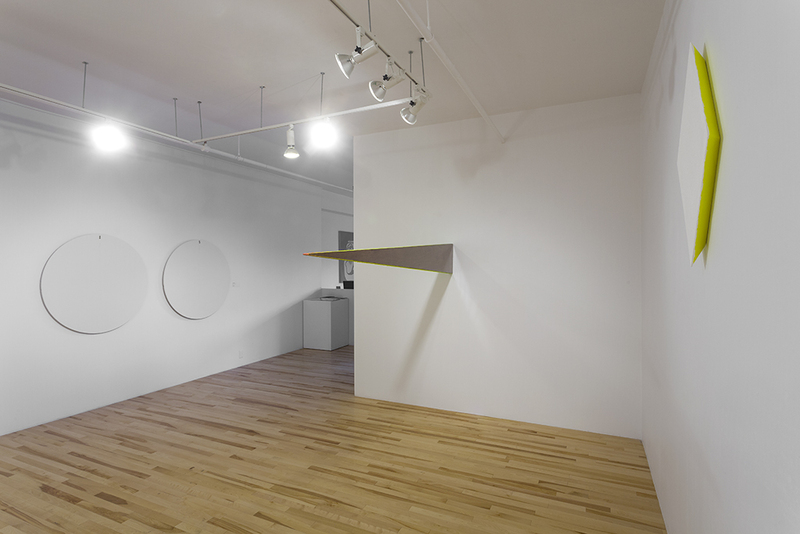 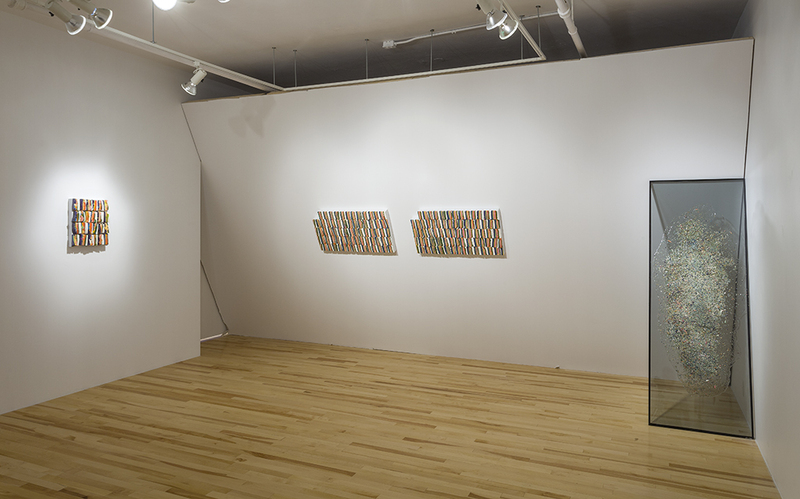 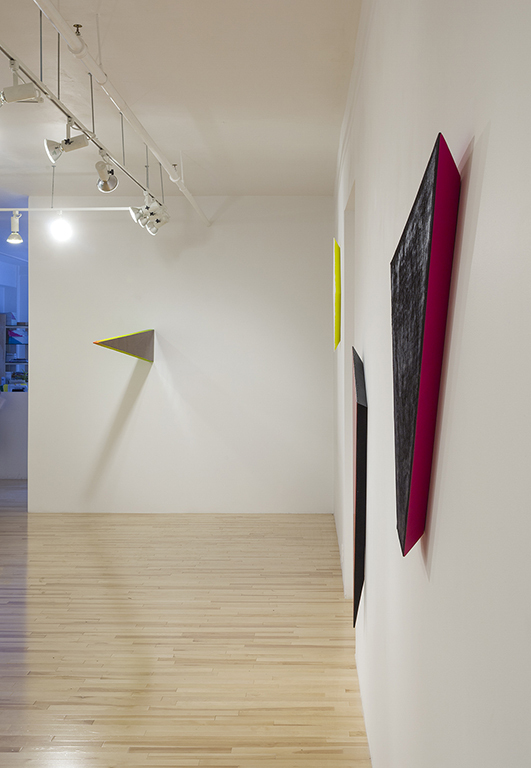 The site-specific installation by artist Nicolas Fleming refutes the illusory neutrality of the gallery space. 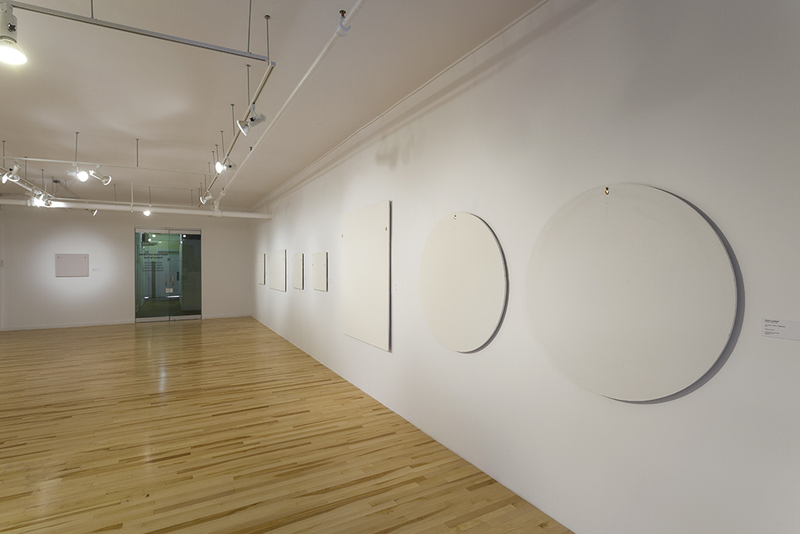 Fleming plays with the constraints imposed by the very space of the white room. 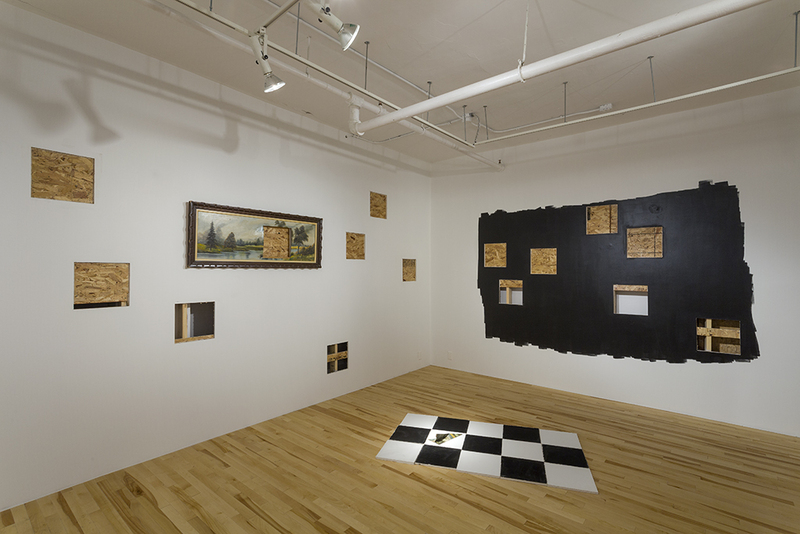 He intends not to use the wall as a device to frame his paintings, but rather to show how the wall can also interfere with the viewer’s perception of the works. 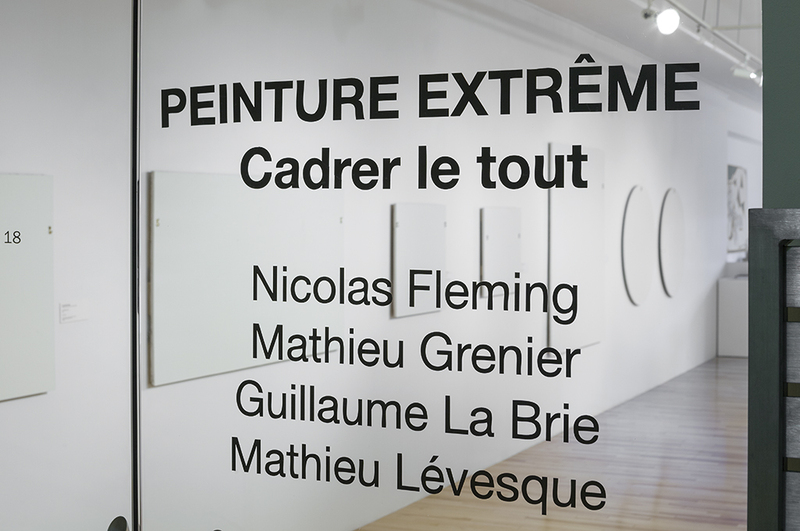 The exhibition Peinture extrême – Cadrer le tout fits into the Extreme Painting programming, an event organized by the Contemporary Art Galleries Association (AGAC). 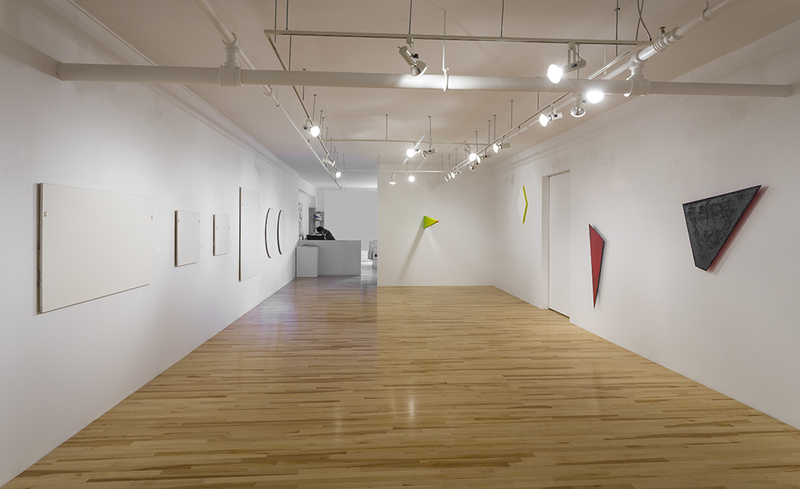 For this second edition, which unfolds throughout the summer, twenty Montreal galleries showcase various exhibitions exploring painting as a medium.